And you might win the new iPhone 5s, Samsung GALAXY S4 Mini and other great prizes. And keep it active throughout our contest period! 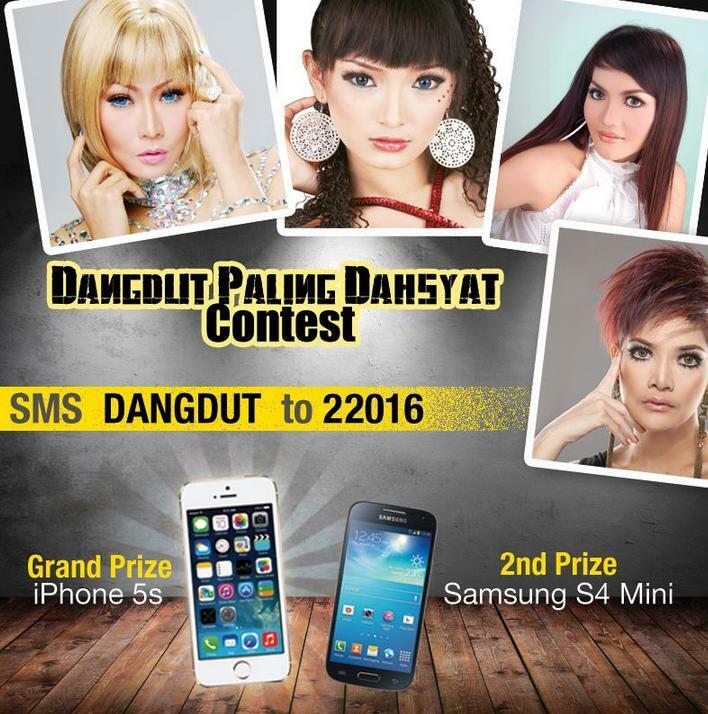 SMS DANGDUT to 22016 to subscribe to the Dangdut Paling Dahsyat CallerTunes™ DJ Package at RM1/week. Subscribe to more CallerTunes™ from the pre-determined table below for a higher chance of winning. The top ten (10) participants who subscribed to the Dangdut Paling Dahsyat CallerTunes™ DJ Package with the highest amount of CallerTunes™ subscriptions from the table above will be selected as winners! The Dangdut Paling Dahsyat CallerTunes™ DJ Package is chargeable at RM1/week upon subscription, with a renewal fee of RM1/week for each subsequent week.